From The Daily Times: Woman Accused of Stealing 500 Toilet Rolls. 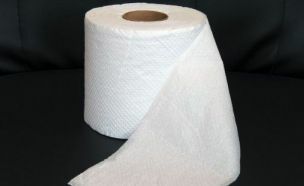 From Gizmag: Turn waste office paper into toilet paper. Now you know where to stick it.